"It's about time this book was written. It is a long-overdue manifesto for the mobile lifestyle, and Tim Ferriss is the ideal ambassador. This will be huge." "This is a whole new ball game. Highly recommended." book will change your life!" "If you want to live life on your own terms, this is your blueprint." "Reading this book is like putting a few zeros on your income. Tim brings lifestyle to a new level–listen to him!" "Part scientist and part adventure hunter, Tim Ferriss has created a road map for an entirely new world. I devoured this book in one sitting–I have seen nothing like it." "Tim is the master! I should know. I followed his rags to riches path and watched him transform himself from competitive fighter to entrepreneur. He tears apart conventional assumptions until he finds a better way." 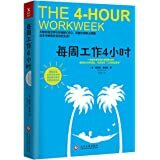 "The 4-Hour Workweek is an absolute necessity for those adventurous souls who want to live life to its fullest. Buy it and read it before you sacrifice any more!" "If you want to live your dreams now, and not in 20 or 30 years, buy this book!" 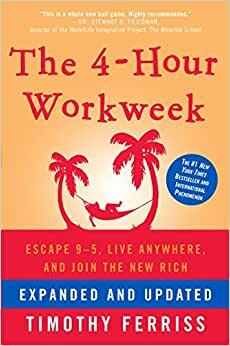 "Tim Ferriss’s book is about gaining the courage to streamline your life… But even more than that, it challenges the reader to seriously consider an essential–yet rarely asked–question: What do you really want from life?" "Tim has done what most people only dream of doing. I can't believe he is going to let his secrets out of the bag. This book is a must read!" TIMOTHY FERRISS, serial entrepreneur and ultravagabond, has been featured in the New York Times, National Geographic Traveler, Maxim, and other media. He speaks six languages, runs a multinational firm from wireless locations worldwide, and has been a world-record holder in tango, a national champion in Chinese kickboxing, and an actor on a hit television series in Hong Kong. He is twenty-nine years old. Good book, the writer gives some good advices to people that want to work less without doing less at the end, and enjoy more time having fun with their friends and family.The only thing I might criticize is that Tim Ferriss was already making 40K to 70 USD per month, so of course it was much easier for him to give himself more time to enjoy, compared to a much smaller revenue businessman.